Home » News archive » NITROVILLE:…d." 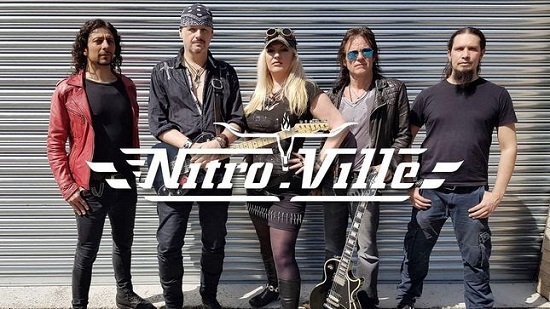 NITROVILLE: Release Video for "End of the World." Guitar player Kurt Michael says about the song: "Celebrating the 10th pre-anniversary ahead of the world's loudest BANG ever – the arrival of space rock Apophis 99942, the bringer of the apocalypse on Friday 13, April 2029 – now, if this ain't METAL… The party is on on April 13, 2019 at the Big Red, London's metal watering hole, ten years prior to impact, with a free live show and DJs".